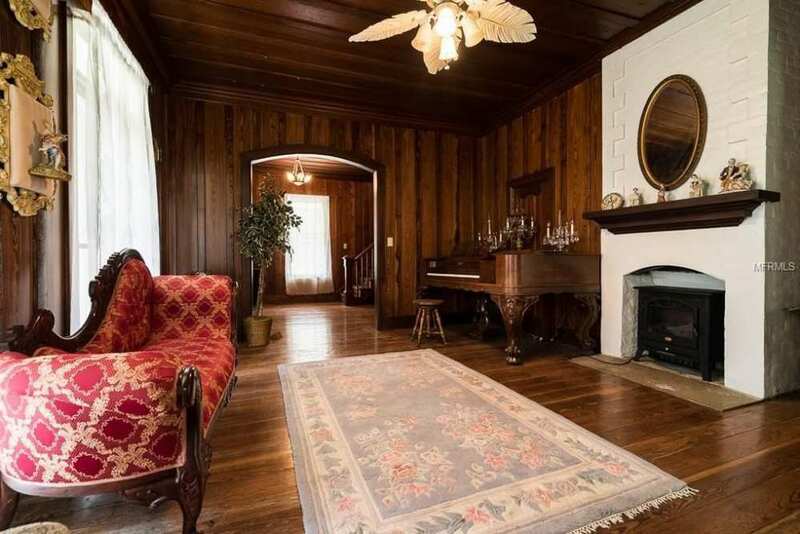 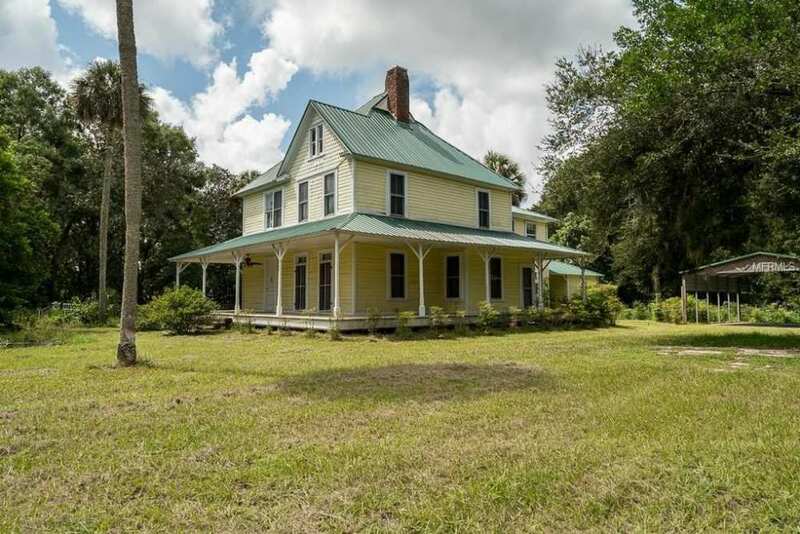 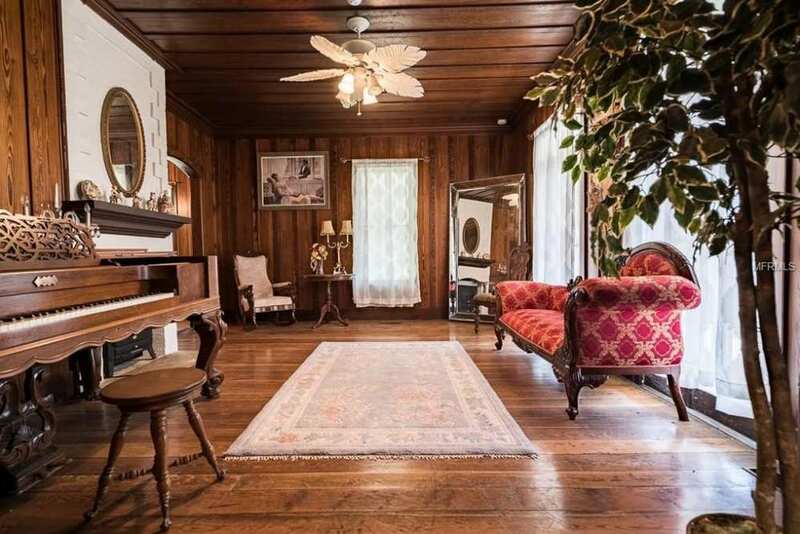 Historic 1903 4/3 Victorian home on one acre. 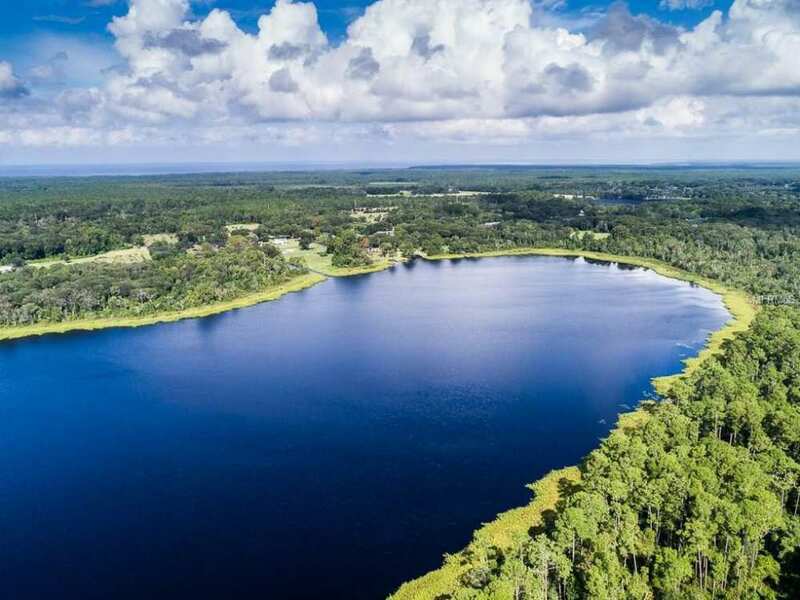 This tastefully restored, gated estate can be purchased with up to 111 acres (see MLS #V4720601), which would feature ownership of a large portion of Lake Pierson with a dock and breathtaking views, open pastures and woodlands. 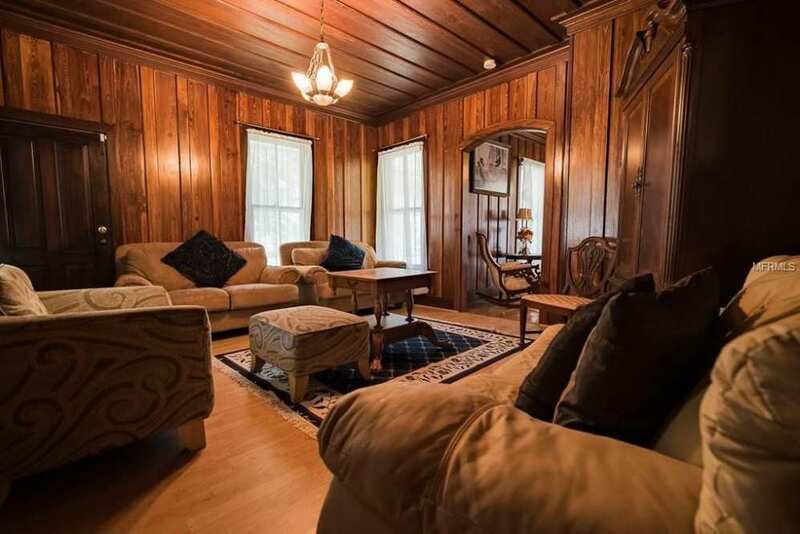 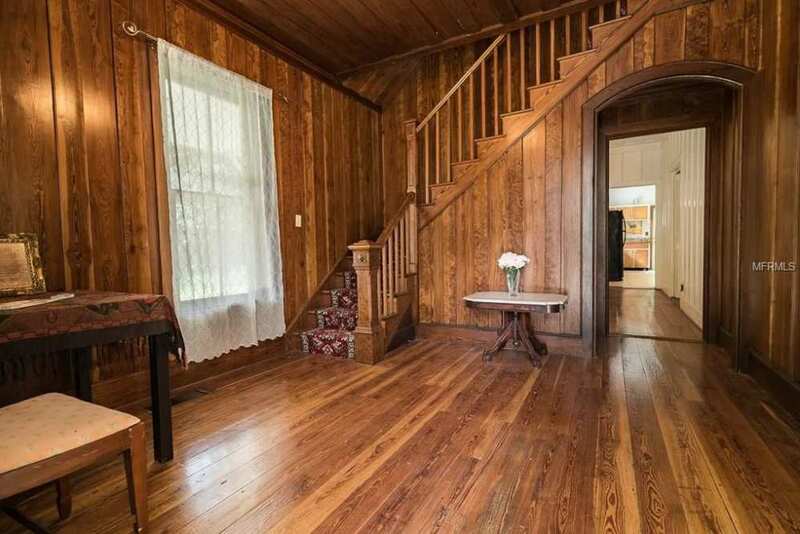 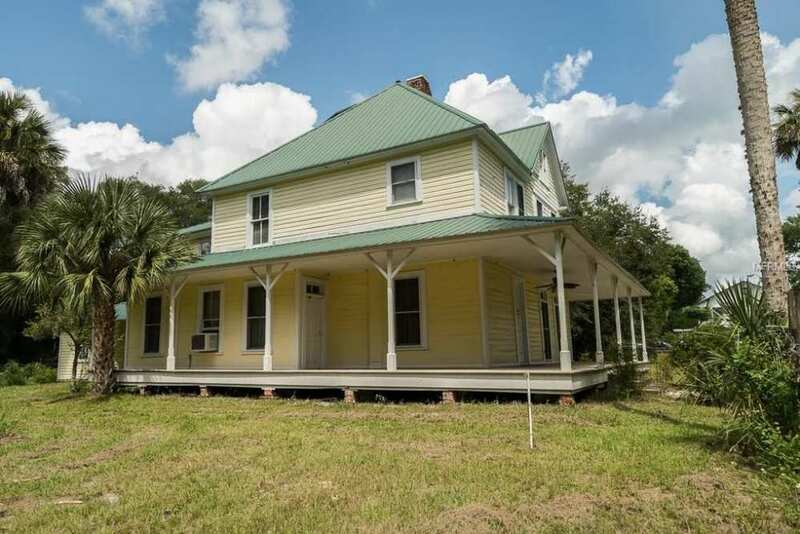 This 1903 historic home boasts an abundance of exquisite Curly Pine and features hardwood flooring, a metal roof, 3 wood-burning fireplaces, security system, and a wrap-around porch with solid-wood doors. 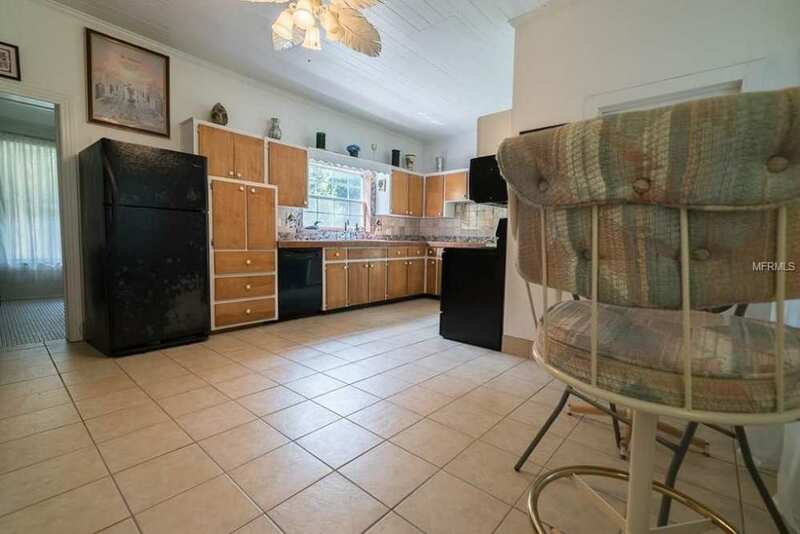 The 19 X 15 eat-in kitchen is very large for a home built in this era and features tiled countertops with custom backsplashes and a walk-in pantry. 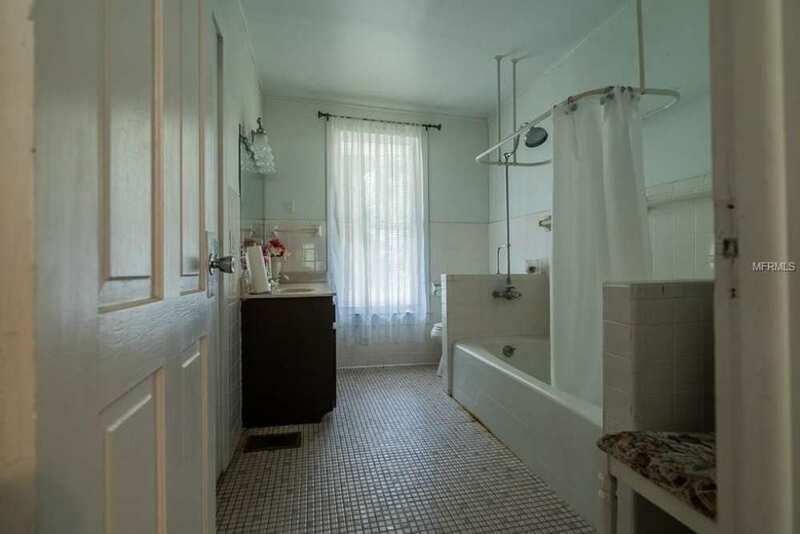 Plumbing and electrical systems have been updated. 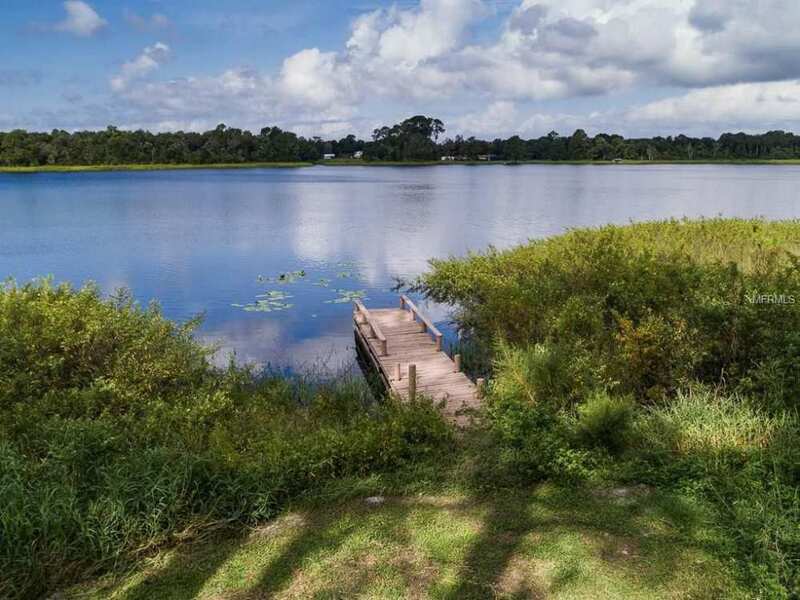 This high and dry parcel includes a 4-vehicle covered parking space and an abundance of wildlife and has been used previously as a wedding venue. 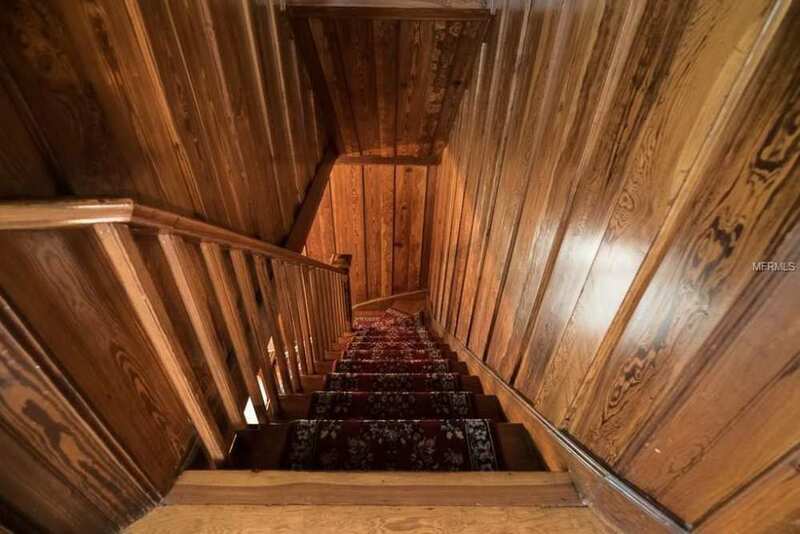 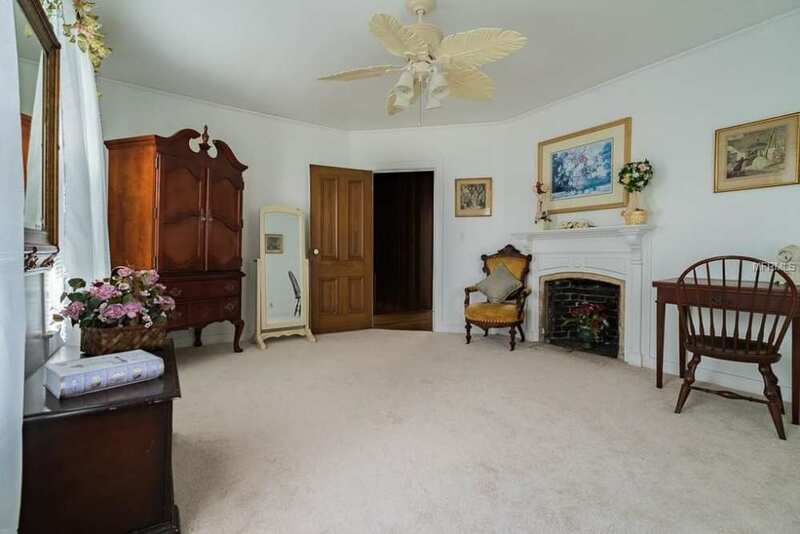 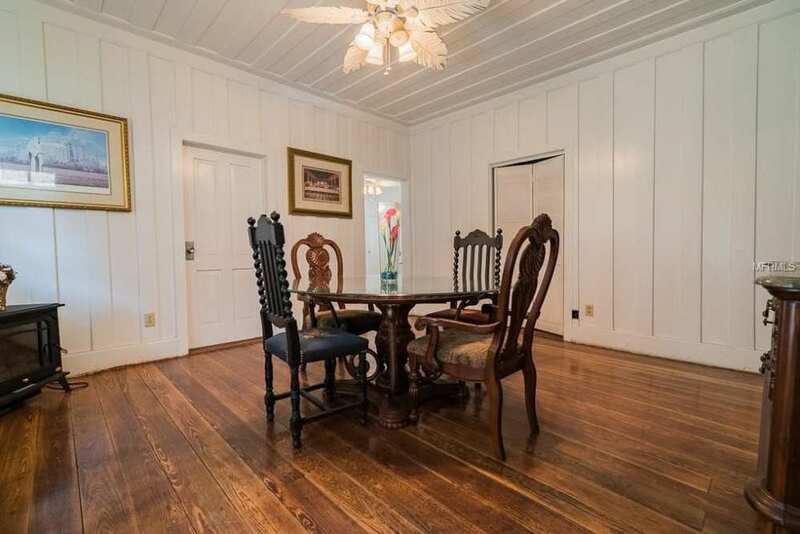 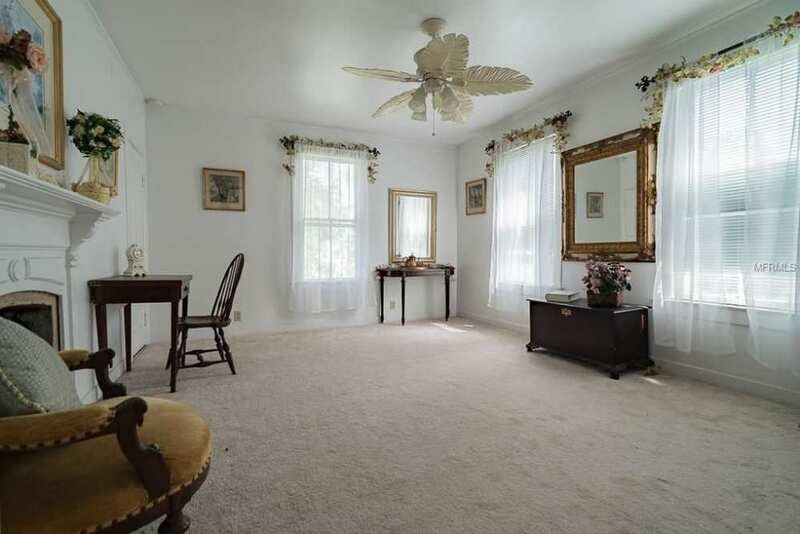 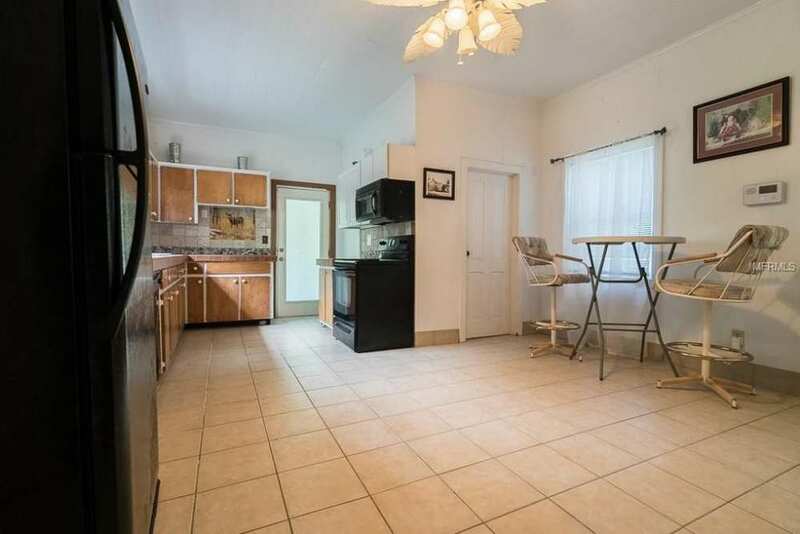 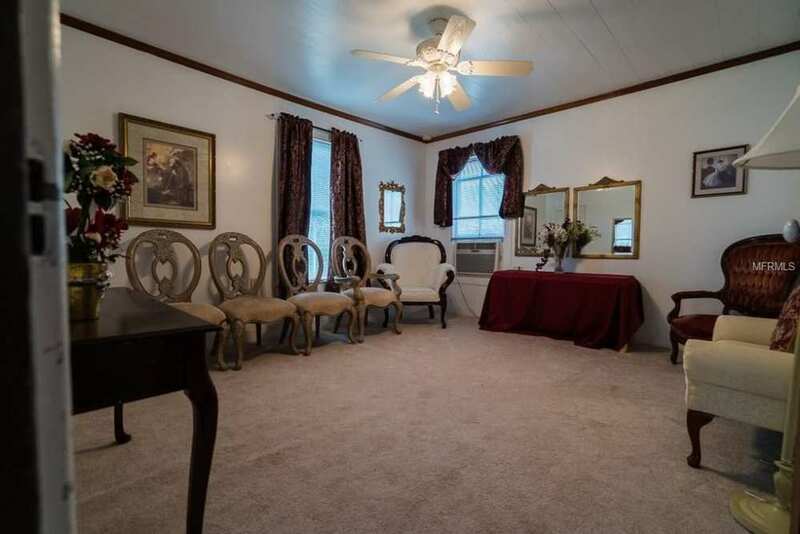 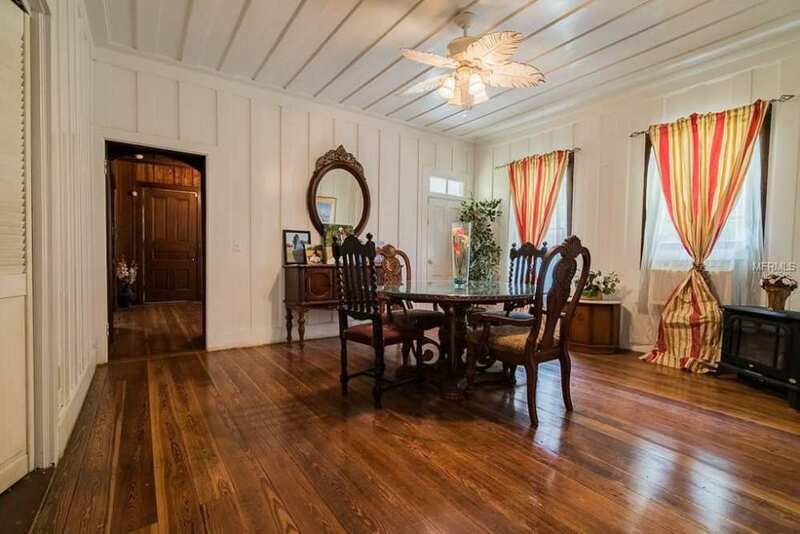 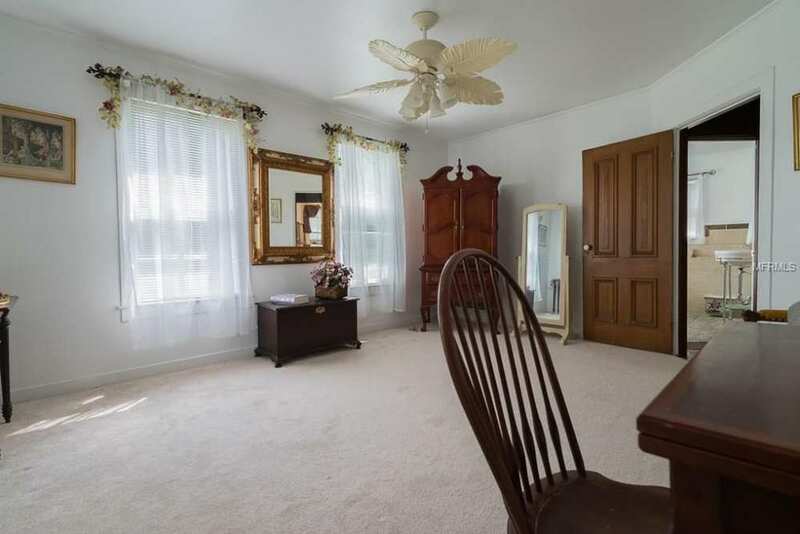 This home features an attic that may able to be utilized as additional living space. 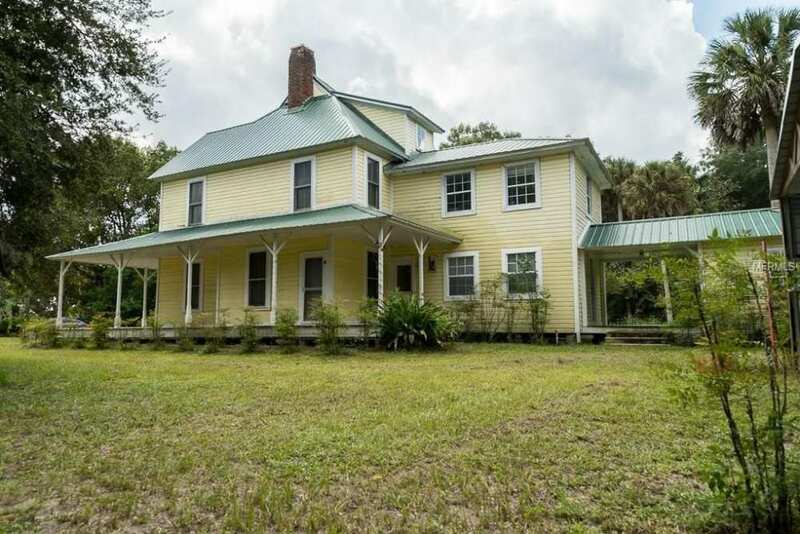 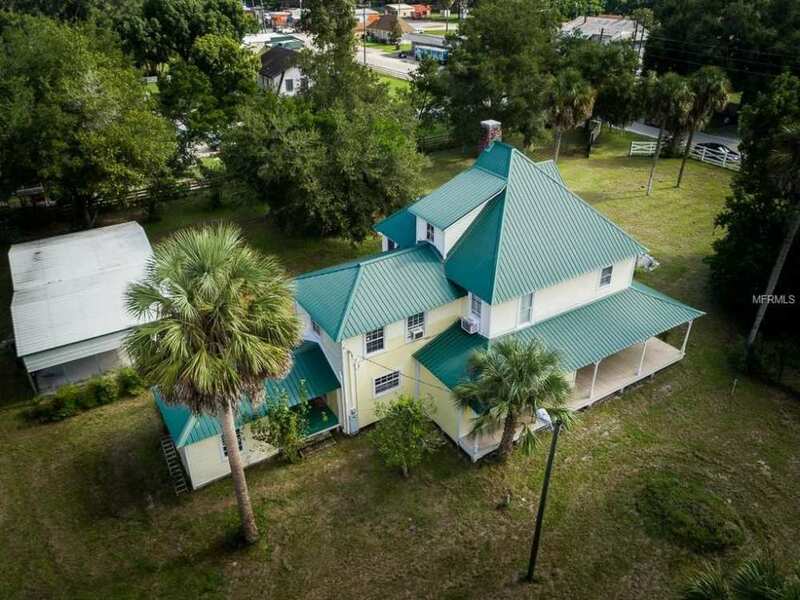 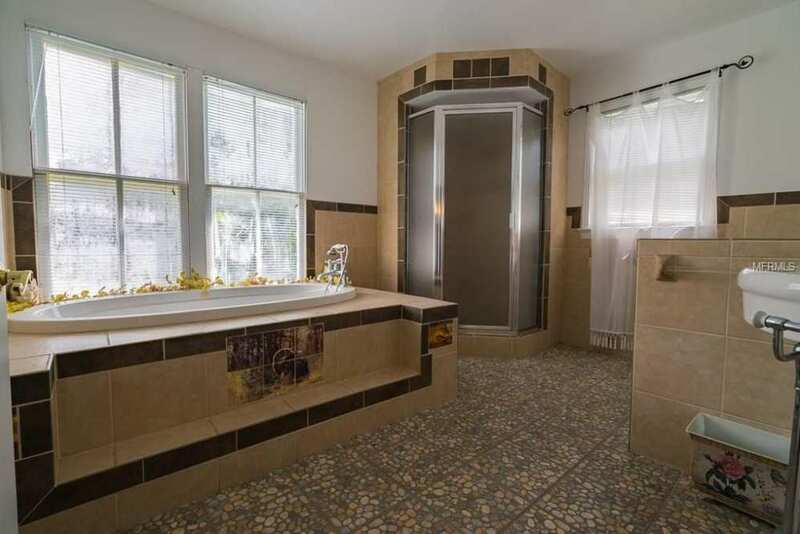 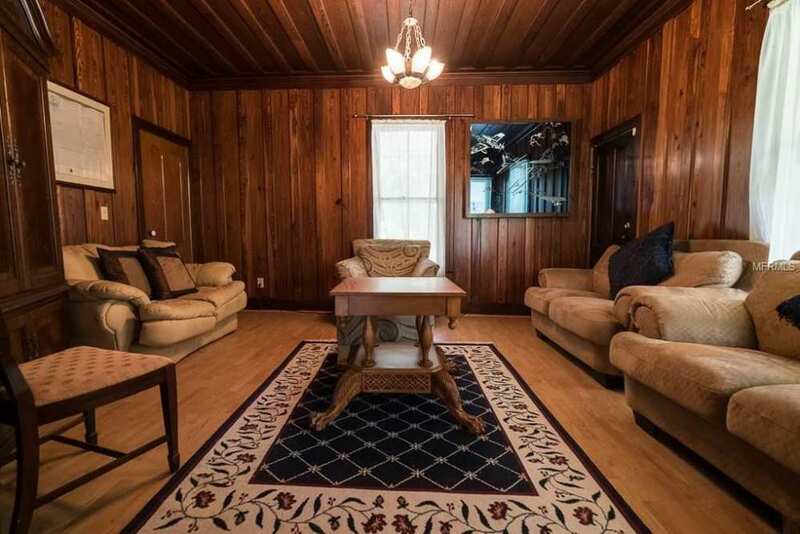 Located in the quaint small town of Pierson, this home is just a short ride to Pierson's municipal airport, Historic Downtown Deland, Crescent City, and several of our sunny Florida beaches. 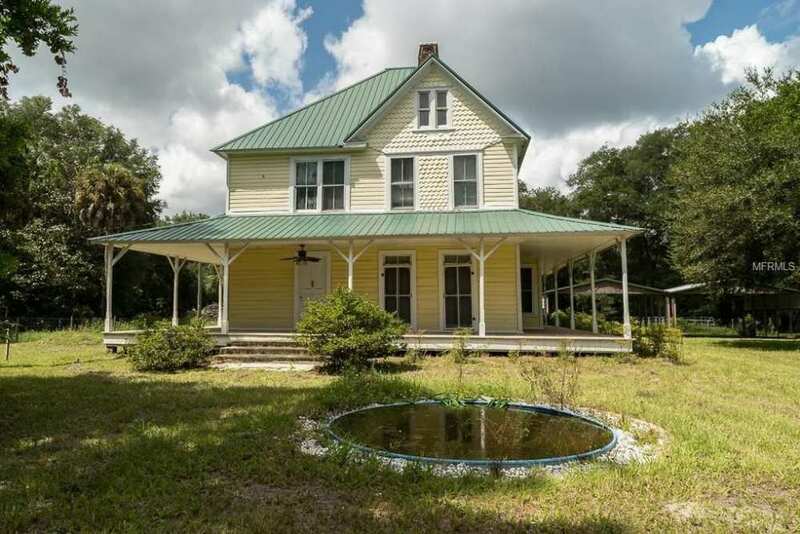 Seller may consider financing. 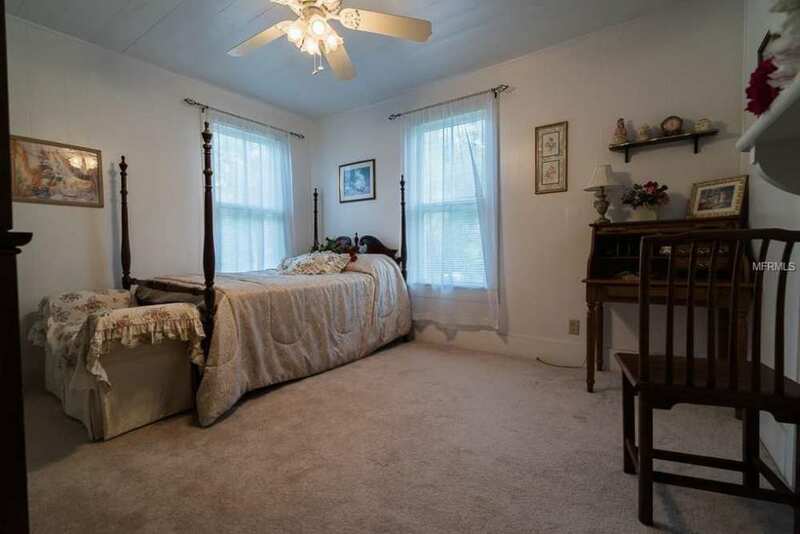 All measurements are approximate and should be independently verified.